THIS ITEM IS NOT AVAILABLE AT PRESENT. WE WILL NOT BE GETTING ANYMORE Star Wars Han Solo in Carbonite Mighty Wallet. From the Star Wars collection by Dynomighty. Star Wars Han Solo in Carbonite Mighty Wallet. Made from Tyvek. 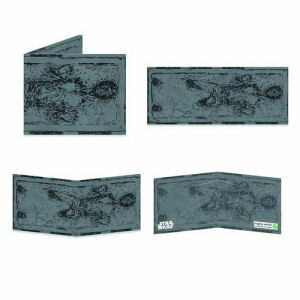 These cool wallets resist tearing because of thousands of interlocking plastic fibers giving them incredible strength. 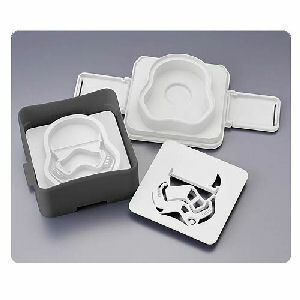 Dynomighty Star Wars Household Items shipping from Canada. No Surprise Border fees or Customs!